Fire up the presses and make sure you meet your deadlines. 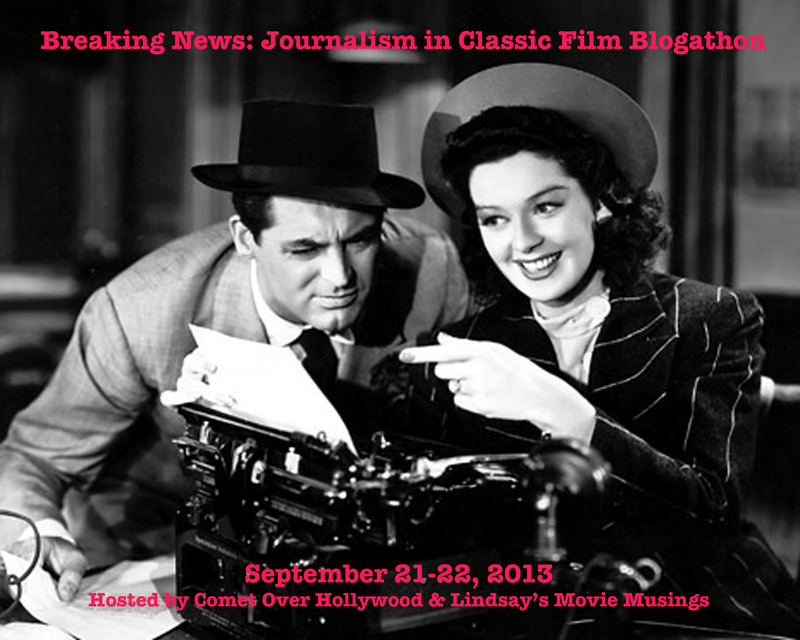 Breaking News: The Journalism in Classic Film Blogathon is here. 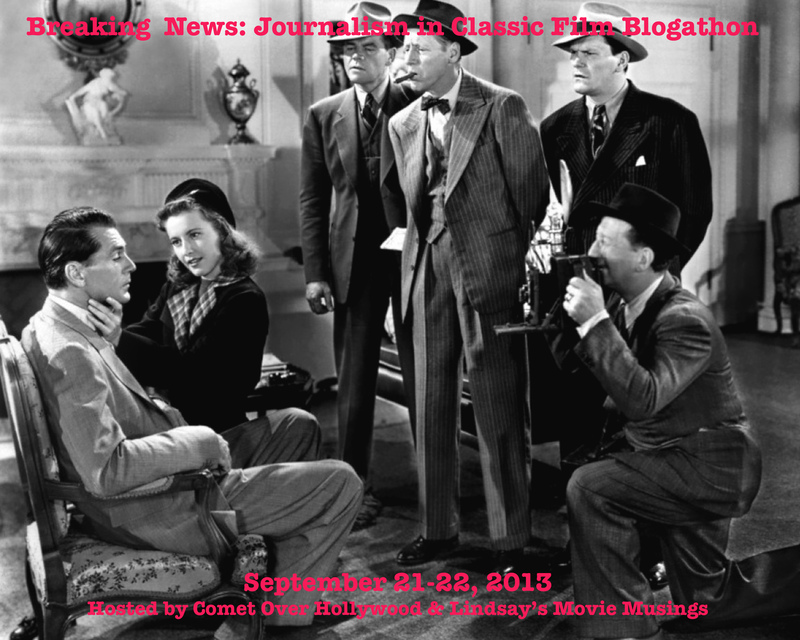 Journalists hosts Comet Over Hollywood and Lindsay’s Movie Musings are excited to announce that we have over 40 bloggers participating. 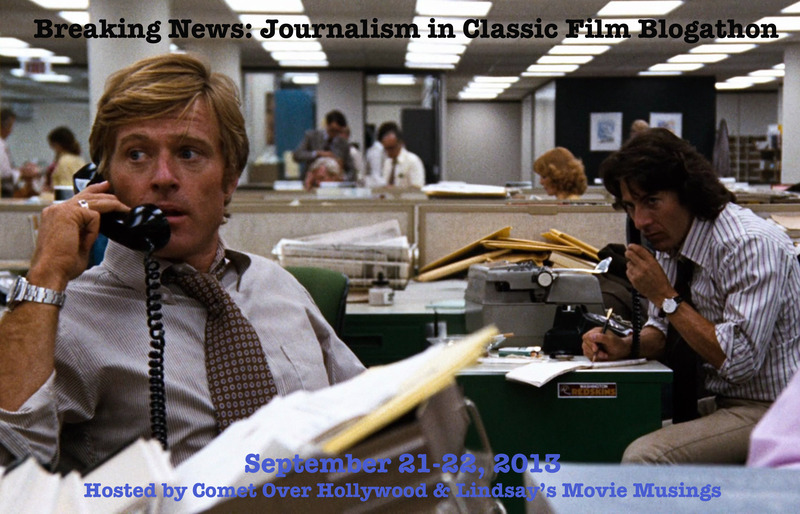 We look forward to reading your posts about films that feature journalists in the newspaper and broadcast field. Even if you aren’t signed up, it is never to late to hop in with a post. On the days of the blogathon. Comment on this post and your submission will be linked alongside your name. Happy to post on 22 Sept. Looks an exciting weekend! As a former journalism major (and, of course, as a classic film nerd), I’m very excited to read all of these! 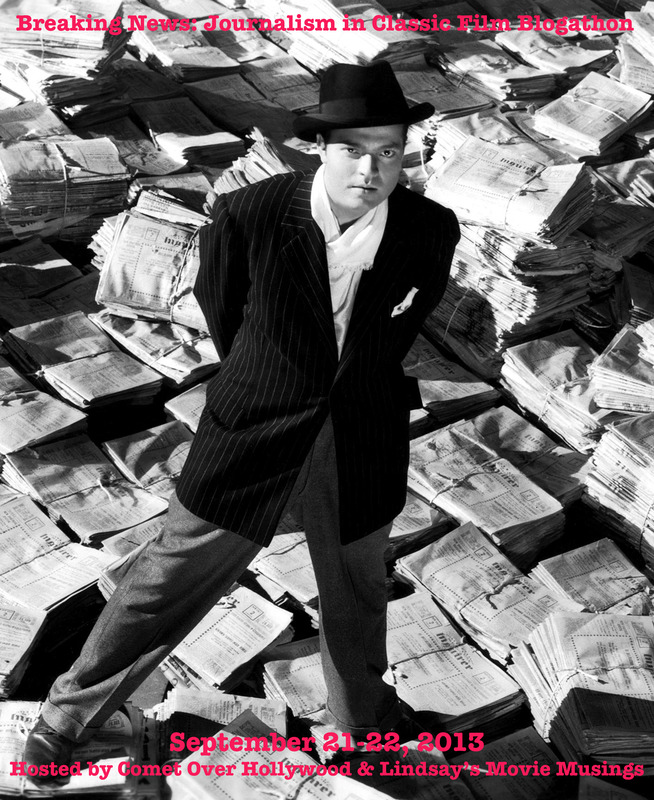 If still available I would not mind revisiting Hitchcock’s Foreign Correspondent. Thanks for hosting this! So much fun. Here is my link. Oh my, I am seeming to have problems, but it’s there! Thank you, again amd sorry for the technical difficulty! 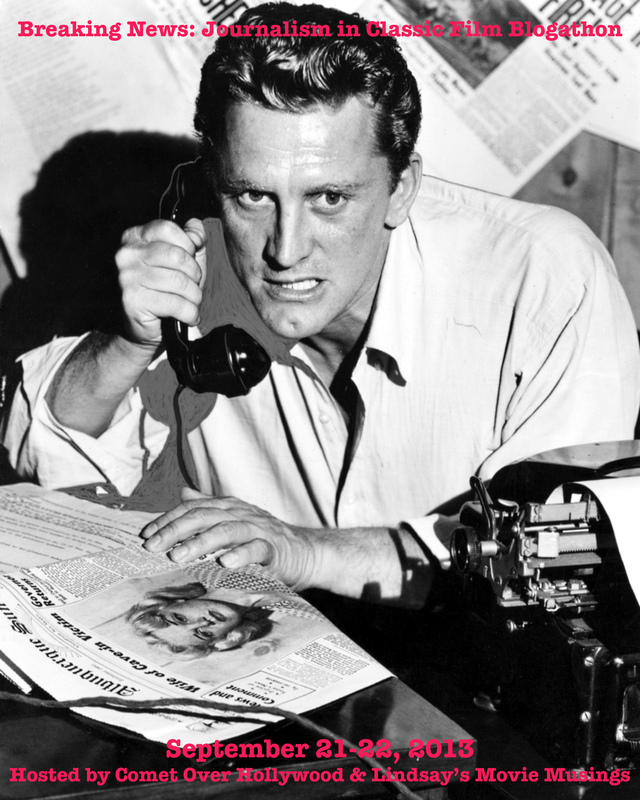 This is going to be a terrific blogathon. I’m thrilled to be a part of it. Pingback: And That’s Why Career Girls Shouldn’t Get Married | I Started Late and Forgot the Dog. Here’s my link. A day late but hopefully not a dollar short. http://thegirlwiththewhiteparasol.blogspot.com/2013/09/movie-review-scandal-sheet.html Thanks for hosting this great blogathon!